The Seventh Judicial District Commission on Judicial Performance, by a unanimous vote (with one member absent and one vacancy), recommends Judge Mary E. Deganhart BE RETAINED. Judge Deganhart received an undergraduate degree from Lake Forest College in Illinois in 1982. She received her law degree from the University of Denver in 1985. Judge Deganhart was appointed as a District Court judge in August of 2011. She is a member of the Probate Advisory Committee and the Office of Public Guardian Study Committee. Judge Deganhart has participated in training with the State of Colorado’s Judicial Training Programs and is scheduled to attend training through the National Judicial College. 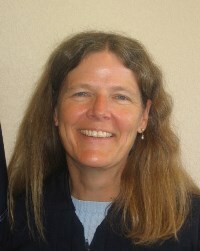 Before her appointment as District Judge in August, 2011, Judge Deganhart, of Ridgway, was the Ouray County Attorney, where she served since 2006. She represented the Board of County Commissioners at all public hearings and in litigation involving contracts, bonds, road disputes and appeals of the Board’s quasi-judicial actions, including appeals of judicial decisions. Judge Deganhart was in private practice starting in 1985 and had her own law firm from 1993 through 2006 in Pagosa Springs. Her private practice had a significant emphasis on real estate and related matters. She also worked as a contract attorney for Archuleta County from 2000 through 2005. The Commission observed Judge Deganhart in the courtroom, reviewed her decisions, reviewed the survey results, conducted a personal interview, took comments from the Chief Judge, the District Attorney and the Public Defender and reviewed Judge Deganhart’s written self-evaluation. Of attorneys responding to the survey, 86% recommended to retain and 15% recommended not to retain. Of the non-attorneys responding to the survey 84% recommended to retain, 8% not to retain, and 8% made no recommendation regarding retention. (These percentages may not total 100% due to rounding). Judge Deganhart’s workload consists of 38% civil, 38% domestic relations, 3% juvenile, 1% mental health, 10% criminal and 10% probate. The Commission found Judge Deganhart to have a professional demeanor in the courtroom and believes that she exhibits an understanding of the issues before the District Court. Overall, the commission unanimously recommends her retention.